Reiki, Therapeutic Touch, Quantum Healing, Energy Medicine, Energy Psychology, and Brennan Healing are some of the many types of energy healing that are available to people who are interested in looking beyond the physical body. Over the years I’ve seen many similarities and many differences between them all. If energy healing is a new world for you, today I’m going to give you a brief overview. I’ll give you a little bit more if you’re curious to know more. All types of energy healing work on the level of the biofield in an individual. We each have an energy field that encompasses and surrounds our bodies. Research has shown that this field is related to homeostasis or balance within all aspects of our lives. (See Science of Energy Healing blog post for more details). In some types of energy healing, practitioners will work on the biofield in general. They will not distinguish between the different levels. Reiki and Therapeutic Touch are good examples of working on the field as a whole. Brennan Healing will distinguish between 7 levels of the field, but there are even more. The odd levels are structured levels and appear like a grid. The even levels are fluid and can look like clouds. Depending on what’s going on in your life, the energy may be moving quickly or slowly. Your field can be tightly compressed to your body or expanded to a large area around you. Energy healing also encompasses work with the chakras. Chakras can also be understood as energy centers which filter or digest energy between our bodies and the world. There are 7 major ones which you can see in the top picture of this post. Many energy practitioners would agree on their locations and their general colour. Some energy healers know the locations and may balance a person’s chakras but may not have a comprehensive understanding of them. Brennan Healing involves studying the chakras and getting to know their functions well. Most of the chakras on a person’s back are related to a person’s will. Many on the front are related to emotions. The chakras on your head are related to reason. Our chakras and biofield change all the time based on how we are feeling and what we are doing. Some of us are very comfortable with expressing emotions and will have more open chakras on our fronts, others will have more open reason or will chakras. We tend to have a dominant area of chakras that are most open. I remember when I took some Anatomy courses at Mcmaster University, I was in awe of the human body. I realized that a person could spend a life-time on one small area or system of the body and never know everything. The same goes for chakras. Chakras are complex and have incredible depth. Barbara Brennan’s Book, Hands of Light is a great resource if you’re interested in learning more. Here is a brief highlight of the psychological function of each chakra as summarized from Hands of Light. Another similarity between energy healers, is that we can all tune into the biofield and the chakras. Some people are born seeing people’s fields (auras) and others (like me) have learned to develop their sixth sense to do so. I don’t walk around “looking” at other people’s energy fields. During an energy healing session, I will “tune into” a person’s field. Barbara Brennan was an individual who believed that everyone could be taught this – it is not something available only to a few people. Reiki is a great introduction into energy healing if you’re looking for a place to start. You can learn Reiki in a few weekends. Brennan Healing is a comprehensive 4-year program which dives deeper into the field of energy healing. I am the kind of person who likes to understand things. I wanted to know more about energy healing and what it was people are doing when they were working in my energy field. I have had experiences where people were working in my energy field and didn’t really know what they were doing – they were just guessing. Which Type of Energy Healing is Best? Like choosing a therapist, choosing an energy healer is a personal choice. The most important things are finding someone you connect and feel safe with. Even better if the healer has experience working with the issue that you’re experiencing. There are many types of energy healing, pick one or two that you are intuitively drawn to and learn more about them. Will energy healing help me heal a physical problem or is it better suited to a psychological ailment? It can help with both healing a physical problem or a psychological ailment. 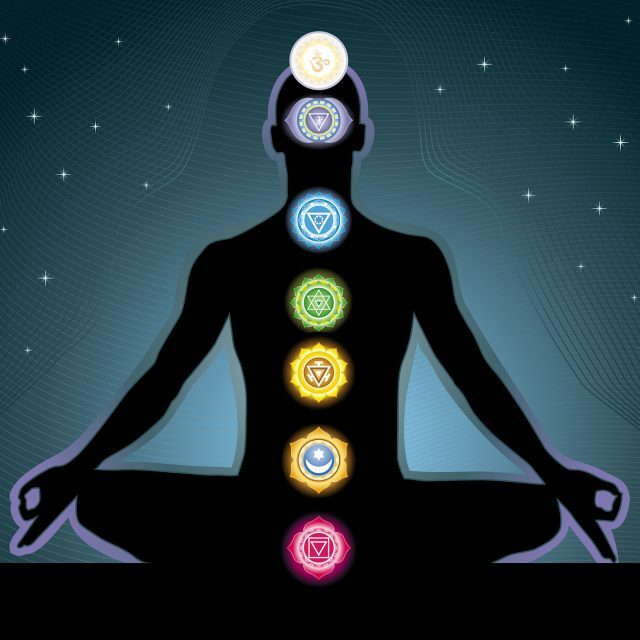 The chakras are located in places that are related to physical problems in the body. For example, the second chakra is integrated with reproductive and digestive organs. If you’re experiencing mental health problems, your chakras and field are strongly related. If someone is depressed their biofield is often moving slowly and compressed towards the body. Like the body, the eneryg field isn’t moving a lot either. Energy healing can bring clarity to deeper issues around your problem, and it can accelerate or amplify the things you are currently doing to help yourself heal.